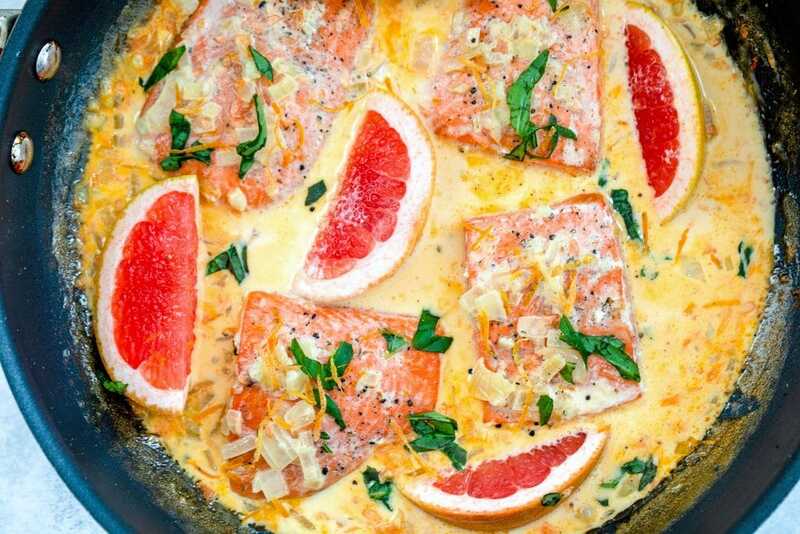 This Creamy Grapefruit Salmon is an incredibly easy one pan recipe perfect for a weeknight dinner. It’s a little bit tart, a little bit sweet, and full of creamy flavor! Wait, don’t leave! Trust me, I know this recipe might strike you as a little bit strange. 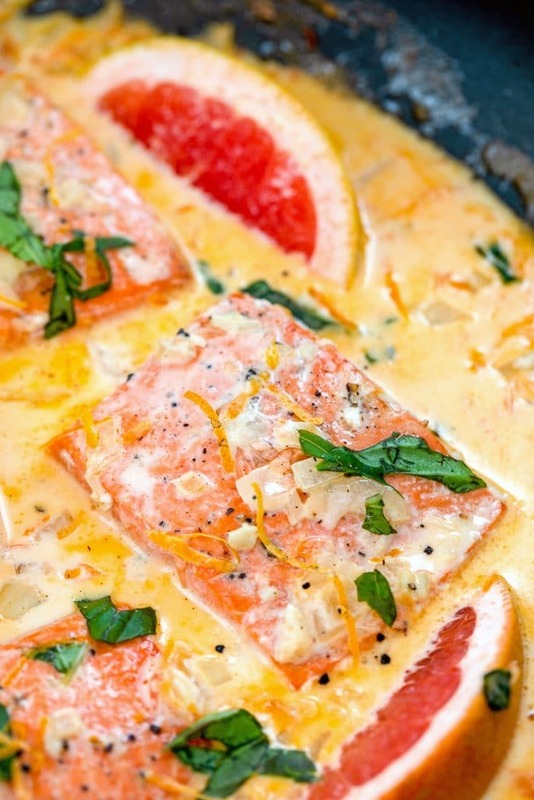 Grapefruit and cream and salmon aren’t a combination you see every day. When the idea first popped in my head, I started doing research and couldn’t find anything like this. Trust me when I say that as a recipe developer, it’s very rare to have an idea and then see that nobody’s done anything like it yet. Generally, you think you have the BEST idea ever and then realize that 50 people have already done it a million times better than you even had it pictured in your mind. That immediately made me feel like this combination was wrong. If it was a good idea, it would have already been done before, right? Not necessarily… The thing is, lemon cream salmon is delicious and has been done so many times. And lots of people serve salmon with grapefruit sections (and avocado… omg so good!). So why not a grapefruit cream sauce?? So, I did it and it worked and it was delicious. And now I hope you make it, too! 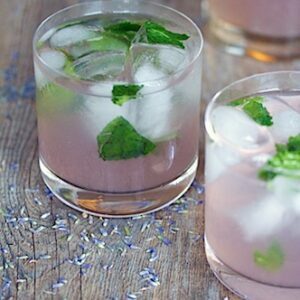 The other awesome thing about this recipe (besides the fact that it’s delicious)? It’s super easy to make! All you have to do is pan sear the salmon (rub some salt and pepper on it and cook it for about 4 minutes on each side) and then move it to a separate plate. Then cook the onions and garlic in the skillet with some butter. Add the grapefruit zest and grapefruit juice and bring it to a simmer. Pour in the cream and let the sauce thicken up a bit. Add the salmon back in and spoon the sauce over the top. I recommend sprinkling some basil on top, too. That’s it! Does it get any easier? I just served this salmon as is with a big side of broccoli. But you can also serve it on a bed of rice or quinoa. Anything that would soak up all that delicious sauce. I’m also not opposed to drinking it with a spoon. I may have mentioned this a time or two on my blog before, but grapefruit is one of my favorite foods in the world. I eat multiple a week and sometimes a whole one in one sitting. Pink grapefruit is the best because it has all of the glorious tartness of grapefruit, but with a little sweetness too. I’ve always loved a good lemon cream sauce, but grapefruit cream sauce may be my new obsession. 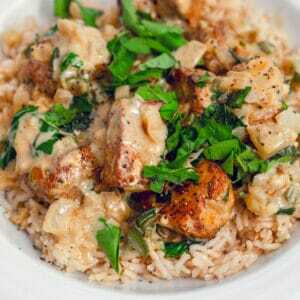 Can you imagine a grapefruit cream sauce pasta dish? Maybe with some chicken? That may be next on my recipe bucket list. Guess I need to buy even more grapefruit next time I go to the grocery store. But really, I’m always on the hunt for the next great salmon recipe. I try to incorporate salmon into my meal planning as much as possible because it’s so healthy, but sometimes I get bored of the same old same old. 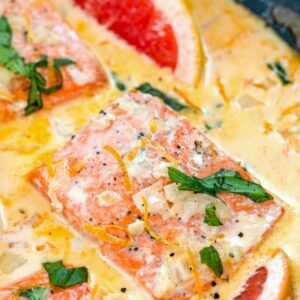 Luckily, salmon is almost always ridiculously easy to prepare and this creamy grapefruit salmon is no exception. If you’re looking for an easy weeknight dinner that’s healthy and also a little bit out of the ordinary, I hope you’ll try this creamy grapefruit salmon! If you love grapefruit as much as I do, check out my Grapefruit Scones recipe. If you want to add it to more savory dishes, I love these Grapefruit Shandy Mussels with Grapefruit Linguine. 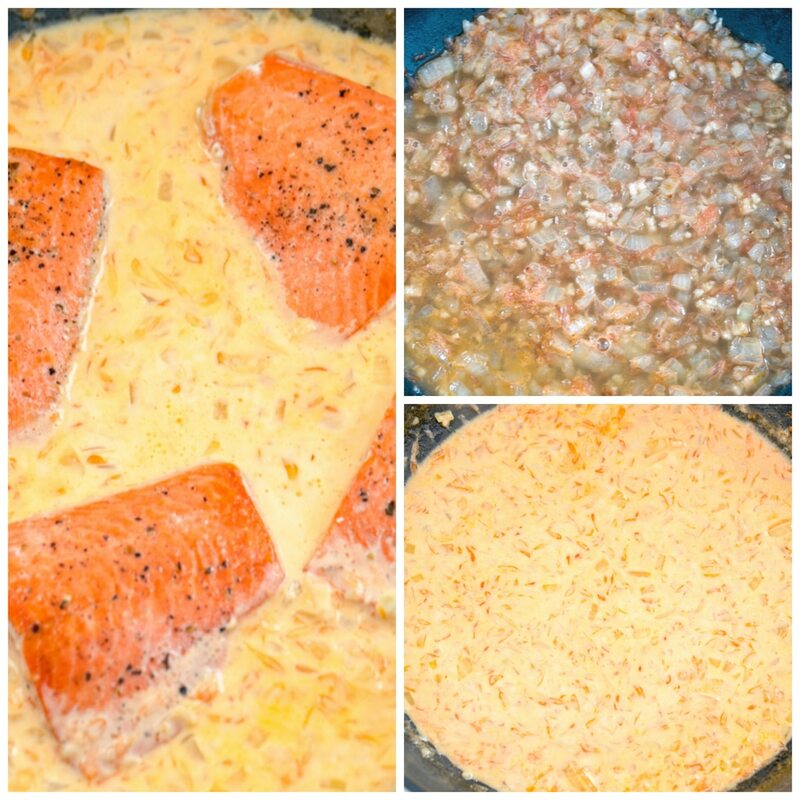 If you love salmon, but don’t love the idea of a grapefruit cream sauce, check out my One-Pan Creamy Chipotle Salmon. Or this Baked Dijon Lemon Caper Salmon from Life’s Little Sweets. 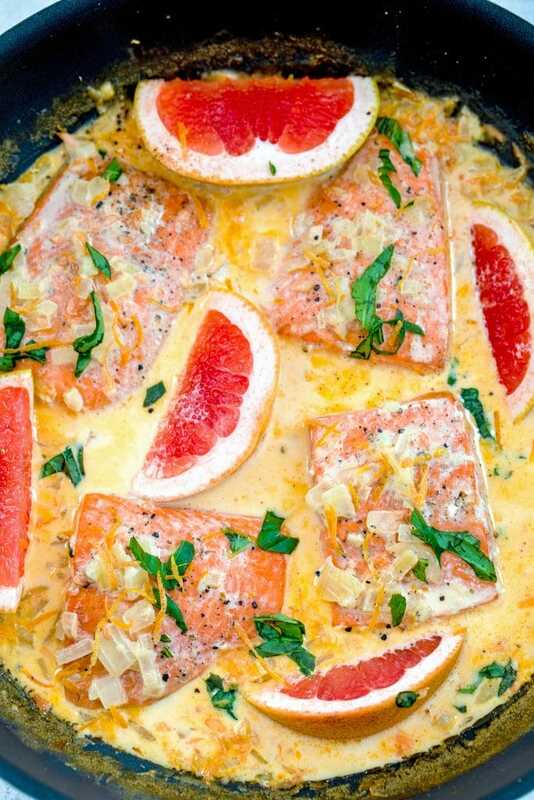 This Creamy Grapefruit Salmon is an incredibly easy one pan recipe perfect for a weeknight dinner. It's a little bit tart, a little bit sweet, and full of creamy flavor! In a large skillet, melt 1 Tbsp butter over medium heat. Add salmon to the pan, skin-side-up and cook for about 4 minutes. Flip and cook for another 4 minutes skin-side-down. 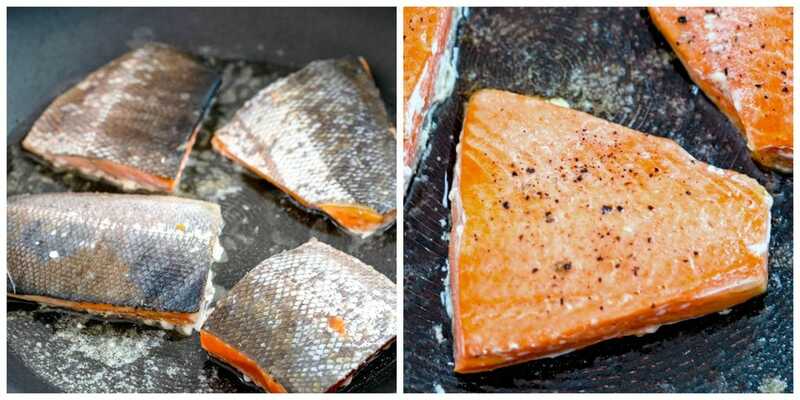 Remove salmon from pan and set aside on a plate. Add remaining 1 Tbsp butter to the skillet. Add onion and cook for about 5 minutes. Add garlic and cook for another 2 minutes, until garlic is fragrant and onions are translucent. Add grapefruit zest and juice to pan and bring to a simmer, scraping up the browned bit from the bottom of the pan with a spatula. Once simmering, slowly pour the cream into the pan. Stir and let sauce thicken a bit. Serve salmon with brown rice, quinoa, or pasta or simply with a vegetable side. 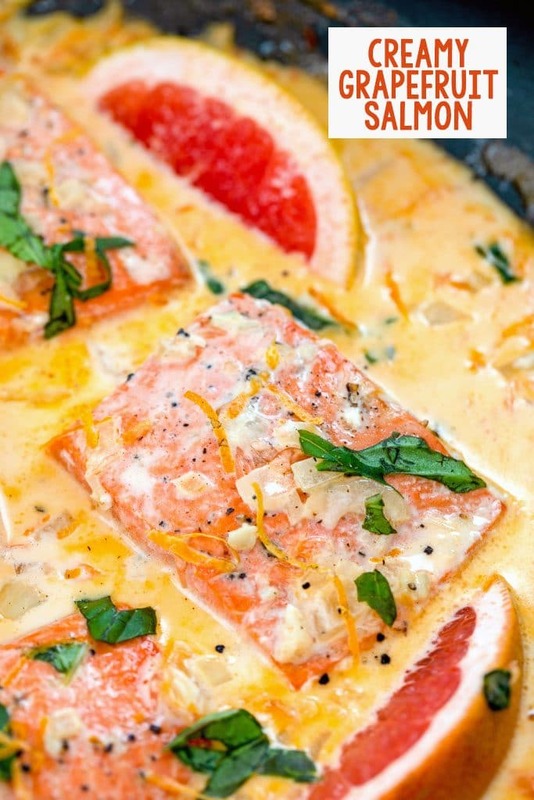 8 Responses to "Creamy Grapefruit Salmon"
What interesting, vibrant flavors! I love that this is a one-pan meal, too. Always looking for those on busy weeknights. Plus, healthy for the whole family. Win! I was skeptical at first but you’re right, it sounds and looks delicious! Will definitely give it a try. What a beautiful and colorful dish. I love the idea of citrus with salmon. I bet this is so tasty. This is such a delicious dinner! Going on the menu as a favorite! 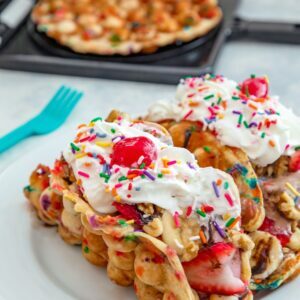 This is one of the most unique recipes I”ve seen in a while! Looks great – grapefruit and salmon, whodathunkit? 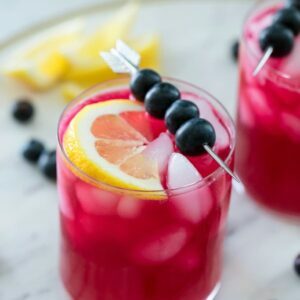 I saw this beautiful recipe yesterday and made it today! We eat a lot of salmon and are always looking for new ways to prepare it. I used ghee and coconut cream instead of butter and cream and served it with cauliflower rice just because we try to eat whole30’ish and it was super delicious! Thank you for creating! Susie this was INCREDIBLE!!! Made it with canned coconut milk and had it over quinoa that I also cooked with broth/coconut milk and I could eat this for-ev-er. YUM! @Janel Aww thank you so much! I’m so glad you liked it! !